Hello and Welcome! I'm glad you're here! From the age of 7 or 8, I had an idea that one day I would travel the world, meet my brothers and sisters and spread the message of love. Which is why, first and foremost, I consider myself an "Ambassador of Love." As a child, I'd walk miles around my town singing Love Is In the Air, not much has changed! 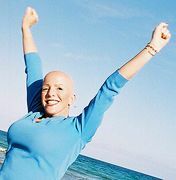 What I didn't know, was life would present me with a series of challenges, preparing me to fulfill on this mission, including losing all my hair at age 11 to a condition called Alopecia Areata. This is one lesson that helped teach me that our biggest challenges can become our biggest blessings! I also gained an angel one night in a car accident my best friend and I were in together. Donna reminds me to always "Keep Shining!" If you've got a signed book, you know that's how I sign each and every one of them. I believe we're all born with an innate genius and that a child's natural, creative ability develops best when they experience the power of love, acceptance, connection and appreciation. My intention, through my books and talks, is to nurture this genius, helping to expand what we believe possible for our children and ourselves. For me, the beauty of writing children’s books is that not only do I reach our young people, but also the parents, grandparents, teachers, preachers, aunts and uncles; my message is meant for everyone! I feel blessed that my books are read at bedtime, shared in classrooms and churches, given as gifts, available in great bookstores and galleries across the world! I'm a big fan of the trend asking guests to bring books to baby showers to start the child's library instead of a card. 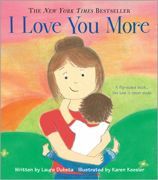 I'm grateful I Love You More has become a favorite for welcoming new babies into the world. Here you'll find out what inspired me to become a children's author, as well as more about my books. The New York Times Bestseller, I Love You More that has currently sold over 800,000 copies and is available in six languages. 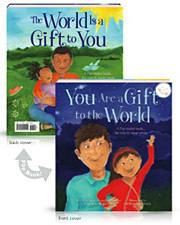 My second book, You Are a Gift to the World, which is temporarily out of print, but we're working to get it back. 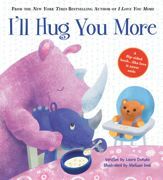 And, I'm thrilled to announce that my third book is finally available, I'll Hug You More. It's a perfect companion to I Love You More and it hit shelves in January 2017. I couldn't be happier with the text and illustrations and can't wait to share it with all of you! I've always been a big fan of hugs and they're proving the power of connection is one of the surest ways to foster healthy self-esteem, create a sense of belonging and hugs help keep us happy and healthy--now that's brilliant! You'll find information on my inspirational talks and school programs, specifically, "Empowering YOU to Shine!" which I present to "3-103 year olds" across the country and world. You'll also find dates and locations of where I'll be visiting and signing books, as well as highlight pictures and videos from my nationwide tour, international stops too, and MORE! I update most frequently on Facebook--I'd love for you to follow my adventures there, as I love connecting virtually and in person! Hope to HUG YOU soon! 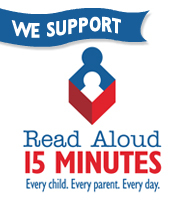 Watch Laura share the tremendous impact PBS and their educational and inspirational programming has made in her life. 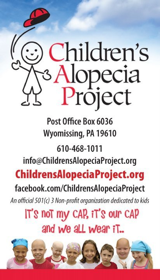 Are YOU a member?